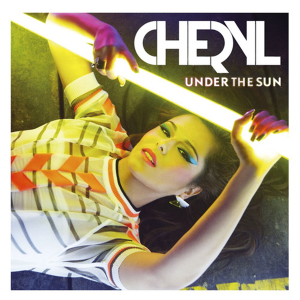 While her previous single still continues to find a home on the Australian singles chart (reaching a new peak of No.49 this week), UK pop starlet Cheryl Cole is moving swiftly along to single No.2 from her latest album in Britain – the poppy ‘Under The Sun’. While it’s no ‘Call My Name’ (which is one of our favourite pop songs of the year thus far), there’s plenty to like, with a sunshiney video set in a town that’s so impossibly perfect it can’t be real (read : film/TV set). Naturally there’s plenty of colour and movement as Chez basks “under the sun” (funny that), but an unexpected rainstorm arrives right on cue to do its best to ruin proceedings. Into the coffee shop she goes, then. Previous Post: « A.D.S. WINS A.G.T. Any news on this being released here?